The ‘Day Care Center’ is a place where citizens can receive Dolbom service close to their homes during necessary hours without requiring senior citizens with dementia or geriatric disorders to check into facilities. These facilities are in high demand as they allow senior citizens to live with their families while lessening the burden of support for families at the same time. First, Seoul will invest a total of KRW 3.37 billion to the Day Care Center expansion project that secures publicness and provide up to KRW 1 billion to autonomous districts and corporations that are set to newly install Day Care Centers, which include utilization of public buildings or establishment of centers as an annex to social welfare facilities, after reviewing the appropriateness of business. Furthermore, Seoul will certify safe facilities as ‘Seoul-type Day Care Centers’ and will provide support in terms of weekly and night operation costs, environmental improvement costs, and substitute labor costs for a total investment of KRW 12.04 billion this year. The ‘Seoul-type Day Care Center’ is a Dolbom institution that has obtained certification from Seoul for conforming to the standard after having applied the certification index for 36 items in five categories. 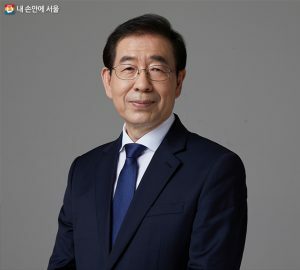 There are currently 391 Day Care Centers in operation throughout Seoul, and among them, 192 centers (approximately 49% of centers in the entire city of Seoul) are operated as ‘Seoul-type Day Care Centers. 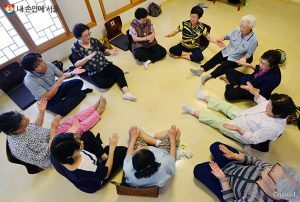 In addition, Seoul plans to make continuous efforts from various angles to establish Day Care Centers as annexes to established public care facilities, lease buildings, and expand facilities through use as religious facilities and remodeling of halls for the elderly.